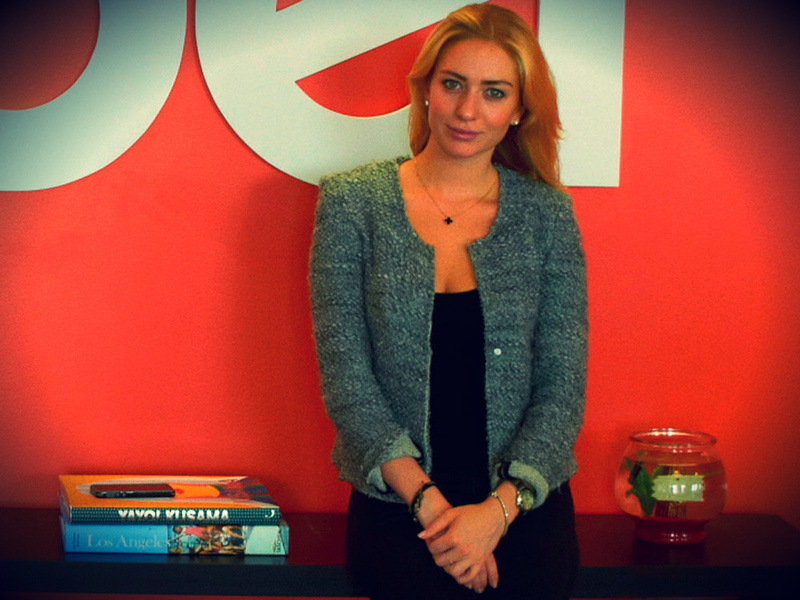 Whitney Wolfe is the VP of Marketing at Tinder and helped set the whole thing up all those years ago. We chatted to her about launching the app and how she believes it has changed the online dating game for women. How do you believe Tinder empowers women? Tinder is the perfect place for females. In real life, women are constantly being approached and bombarded. On Tinder, no one can approach you unless you give them the green light to do so. I know of a lot of young Hollywood actresses who adore Tinder for this exact reason. They feel like no matter where they go out they are always being bombarded. However, on Tinder, they control who talks to them. The ball is entirely in their court. This has never been done before. It is empowering for females as well because once a match has been made you have the confidence of knowing that person already is interested in you. It’s a great way for girls to feel comfortable to say hello. What advice would you give someone trying to start up their own company? Don’t start a company just to start a company. Start a company to solve a problem, to find the solution to something you feel the world is lacking. Find a vision, hone in on it, and do anything in your power to bring that to life. Have you had any great love stories happen because of Tinder? So many. We have received tonnes of emails from people saying they met the loves of their lives on Tinder and over half of the emails end in ‘now we’re engaged, thanks to Tinder!’ Not only love stories, either. We have received countless stories of people using Tinder while traveling and ending up on the most amazing adventures. I am up around 7:30 will either go to Soul Cycle or for a brisk walk. I head to Earth Bar for a smoothie and I am at the office by 10am. From 10am to 6pm it’s madness. I have back-to-back phone calls and meetings to discuss marketing initiatives with my team and planning for international events in the UK, France, Italy and Germany. I have lunch with my Tinder colleagues and am back at it again once I get to the office until the end of the day. I think Sophia Amoroso of Nasty Gal is incredibly inspiring. She had a goal, a passion, and worked hard. Sheryl Sandberg has reinvented what it means to be a working woman, but has also demonstrated how you can have the best of both worlds. A spicy margarita or a glass of red wine. I work out in the mornings so I don’t feel so guilty about unwinding after a long day. I went to school at Southern Methodist University (SMU) in Dallas and majored in International Studies. I studied abroad at La Sorbonne in Paris for a year and after graduating SMU I took a year to travel throughout Asia. I always knew I wanted to do something creative and beat to my own drum. I moved to LA a year after school and started working on an app called ‘cardify’. Tinder was born shortly after and luckily that is what we are still working on. Attitude is everything. We cannot control what happens, we can only control our reactions and our attitude. It’s important to have a good one. Never take anything for granted, be organized, be grateful, and be hungry! Love what you do, or you won’t ever be good at it. Is there anything specific people should think about when creating an app? Take into consideration that it isn’t as easy as it may sound. It requires so many moving parts. Never stray from your vision and make sure whatever you have in mind will have a customer. Think simple and clean.